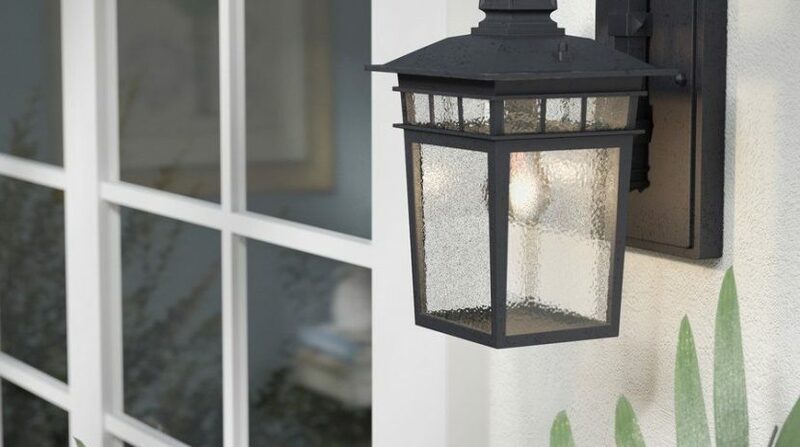 Are your outdoor light fixtures weatherworn, bug-ridden and overlooked even though you depend on them through the dark of night? Exterior light fixtures are an important feature of your home for many reasons, and if yours have seen better days, it may be time to consider new exterior light fixture installation. Why should you make this project a priority? Neighbors, visitors, and home buyers are often quick to make assumptions based on the exterior appearance of your home. Available in a variety of styles and configuration with bulbs encompassing an array of lighting colors, exterior light fixture installation is an easy, inexpensive way to update your home, complement its unique architecture, and help it look and feel warm and inviting. With a well-lit exterior, there will be no key fumbling or creepy hiding spots for trespassers. Exterior lighting is associated with safety, with well-lit neighborhoods holding lower crime rates than dark, dreary locales. With brighter bulbs or added exterior lighting features such as walkway and stair lighting, you can decrease the risk of injuries from trips and falls, and enhance safety around pools, decks, ponds and outdoor areas. All but the cheapest new lighting fixtures offer improved efficiency and performance compared to older models (especially those paired with more efficient LED bulb technology), protecting the earth and saving your energy dollars. In addition, newer fixture technology offers features including motion sensors and timers – as do bulbs. A relative newcomer to the marketplace, affordable LED ‘smart’ bulbs offer a host of programmability options, from dimming and timers to color programmability via a smart device, and even light-sensors for even greater convenience and energy savings. What’s the Best Type of Exterior Lighting Fixture for My Home? Copper paired with LED bulb technology offers ideal performance for a multitude of homes. The natural beauty of copper perfectly complements the illumination of outdoor lighting and is exceptionally durable. Corrosion-resistant, environmentally friendly copper withstands moisture, weather, and temperature extremes, developing a beautiful natural patina over time. Paired with LED bulb technology, you’ve got an ideal match. Up to 80% more efficient than older bulb technology, LEDs perform in all-weather conditions, providing reliable operation even in extremely cold temperatures with none of the flickering found in fluorescents. Brightening up to the idea of updating those fixtures? Look at your home in a different light and request service from the Pro Handymen near you online or call 619-497-9775. Our professional technicians can complete hundreds of interior and exterior residential and commercial repair, maintenance and improvement projects!